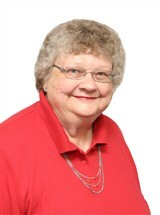 An expert in the field of nursing, Dr. Poston began her career in 1973 as a pediatric nurse for Memorial Mission Hospital. She held a variety of nursing roles before transitioning into education, where she has been able to share her expertise in the medical field. Dr. Poston served as an operating room nurse and neonatal ICU nurse for Medical University Hospital, as a staff nurse for Anderson Memorial Hospital, as a staff nurse for Tallahassee Memorial HealthCare, as a pediatric nurse for Shands Hospital, and as a camp nurse at Camp Pinnacle. Additionally, Dr. Poston has been an associate and assistant professor for East Carolina University, an assistant professor for the University of North Carolina at Greensboro, and an instructor for Clemson University. In addition to her professional roles, Dr. Poston has made an impact on her field through her civic involvement with East Carolina University. She has been chair of the CON Undergraduate Curriculum Committee, chair of the Pediatric Faculty Search Committee, member of the Faculty Retreat Planning Committee, Faculty Senate Representative, chair of the Faculty Affairs Committee, chair of the PCN Personnel Committee, chair of the Graduate Course and Program Development Subcommittee of the School of Nursing, and member of the Informatics Committee. Before establishing herself professionally, Dr. Poston completed her education. She received a Bachelor of Science in Nursing from the Medical University of South Carolina in 1973, a Master of Science in Nursing from the Medical College of Georgia (now Augusta University) in 1979, and a PhD in higher education administration from the University of Florida in 1988. Throughout her career, Dr. Poston has been the recipient of a number of awards for her achievements. She earned a Board of Governors Excellence in Teaching Award from East Carolina University, and an Excellence in Education Award from the Beta Nu chapter of Sigma Theta Tau International Honor Society of Nursing. She credits her success to her talent to make complicated material understandable for nursing students. As she looks toward the future, Dr. Poston plans to continue in her adjunct teaching role with Barton College in the years to come.